Though the Motorola Droid and Apple iPhone have different chassis, their high-octane engines are similar. The internal similarities begin with performance: both devices are fast. The iPhone 3GS is already distinguished for its speed. And the Droid is quickly garnering similar accolades. The Motorola Droid has a radically different exterior compared with the iPhone but uses a speedy Cortex-A8 ARM chip like the Apple phone. “The Droid makes a big leap in internal performance. Compared with its rather sluggish Android predecessors,” CNET Reviews said, citing the speed at which the Droid opens applications and menus and scrolls through lists and switches display screens. “We’re really pumped to see all the industry excitement it’s created,” said Jeff Dougan, the OMAP 3 product marketing manager at Texas Instruments, which supplies the OMAP 3430 processor that powers the Droid. “This is the first handset that truly realizes the full potential of Android,” he said, referring to Google’s Android 2.0 operating system that runs on the Droid phone. The TI processor, like the one in the iPhone, is based on an a new architecture called Cortex-A8 from U.K.-based chip design house ARM, whose wide variety of chips populate most of the world’s cell phones. Dougan says most smartphones currently on the market use an older, lower-performance ARM architecture than the Cortex-A8–with the exception of the Palm Pre, which opted for the newer TI chip. The Cortex-A8 provides a “two to three times performance boost” over older architectures, according to Dougan. Max Baron, an analyst at Microprocessor Report, says the chips in the Droid and the iPhone (see not below) are so alike that differences are more dependent on the operating systems the two chips use and how successfully each phone maker optimizes the OS. “With chips that have near-similar specs, the optimum OS and the look-and-feel of the user interface may make or break the product,” Baron said. “The caveat, however, is that even small differences in chips will surface and become important differentiators as soon as the market forces you to increase the screen size or add more pixels per screen, or execute more power-consuming applications,” he added. The raw MHz ratings on the chips are slightly different. The processor in the iPhone 3GS–which is believed to be based on the Samsung S5PC100 processor–runs at 600MHz, according to most accounts. The Motorola Droid’s TI chip is rated at 550MHz though theoretically it can be run as fast as 600MHz, according to TI’s Dougan. Both phones also use PowerVR graphics from Imagination Technologies–a company that both Apple and Intel have invested in, testifying to how hot its ultramobile graphics technology is. The PowerVR is renowned for its ability to process several million triangles-per-second–a key indicator of graphics chip performance–blowing away other phones and the previous version of the iPhone. Other internal specifications are similar between the two phones, including memory capacity (either 16GB or 32GB) and communications chips that offer 3G, Wi-Fi, and Bluetooth connections. 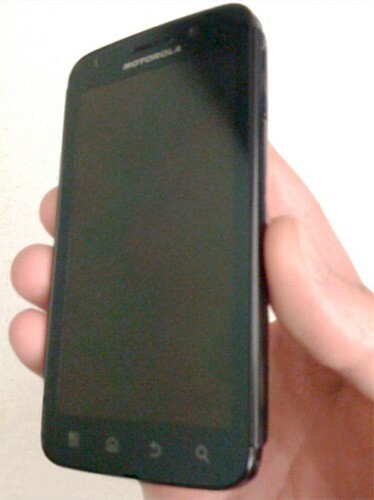 So, internally the Droid is every bit the iPhone’s equal. And future versions of TI OMAP 3 chips that may appear in upcoming Droids will be backed by formidable ecosystems, according to Baron. “Investments in application software may lean more toward the TI components,” said Baron, given TI’s strong support of the entire chip ecosystem, including auxiliary chips and software development tools. Note:: Apple’s and Samsung’s reluctance to release information about the processor used in the iPhone 3GS has made it difficult to determine if the chip is based on the Samsung S5PC100, according to the Microprocessor Report’s Baron. Many iPhone 3GS reviews and teardowns, however, state explicitly that the iPhone’s processor is essentially the Samsung S5PC100 processor. A few weeks I go I proclaimed the Motorola CLIQ the best Android phone ever, asterisk, at the time it came out. 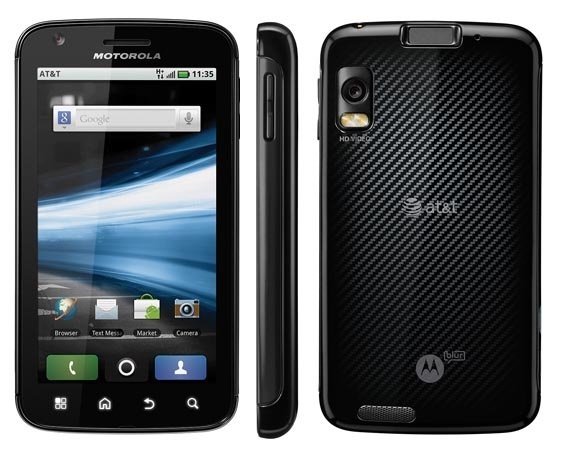 On Nov. 6, the new Android champion will be the Motorola Droid. That’ll make Verizon customers/Apple haters happy now that the carrier has a phone to match its vaunted 3G network, or will have when it becomes available on Nov. 6 for $200 after the usual contract stipulations and rebate. Handling the phone for the last couple of hours, I find Droid’s imperfections overwhelmed by Android 2.0 advances that help unify related functions and, first and foremost, its gorgeous screen. At 3.7 inches diagonal, Droid’s display is the biggest on a cellphone, yet the Droid is only a hair larger and actually a bit thinner than the CLIQ. Even better, the LCD is 854 x 480 (WVGA) or 400,000 pixels. Most similarly sized screens are 480 x 320. In less tech terms, text and colors are sharper, bolder and crisper than on any other cellphone LCD I’ve seen. Droid is more than its screen and slide-out QWERTY keypad. To make non-verbal communications easier, Motorola borrows the contact-centric phonebook from CLIQ’s MOTOBLUR social-network interface. Contacts in your phone book include text and email data, but let you compose a message or post to varying your contact’s pages on social-networking sites such as Facebook without having to actually boot the Android Facebook app. Droid also handily merges all the info from contacts culled from varying app phonebooks and email contact lists, such as Facebook and Gmail. Further unifying disparate functions, the home page-based Google Search now scours not only the Web but data on your Droid. For instance, if you do a search on U2, you’ll find websites, plus websites you’ve visited or bookmarked, apps, contacts or, optionally, YouTube and your music. You can change these search options in the settings. I have some initial complaints. First, the 5MP camera is slow to process the large images. And, despite included image stabilization, indoor shots with the dual LED flash come out blurry if you don’t hold the camera stock-still until the shot is processed. Photos also can be geotagged, but oddly this is not the default setting. I’m not even sure why there is an option to begin with — what is the drawback to having all your photos automatically geotagged? Like the CLIQ, Droid’s slide-out horizontal keyboard is three-line rather than four, which means you’ll need to tap ALT to access the number keys. YouTube playback was hinky on my demo unit, especially when I tried to watch videos in HQ. They’d get stuck in “loading” and never actually play. Unlike other Android phones, there isn’t a “full screen” zoom option, which means videos that do play play in the middle third of the screen. But Droid’s big, sharp screen makes everything easier to read, Android 2.0 adds the kind of intuitive interface that makes using a complex cellphone easier, Verizon’s EV-DO network speeds net surfing, and Droid’s solid metallic body fills klutzes with confidence. Now all we need is an iTunes-like Android client software. The Motorola ROKR E6, or E690 as the engineers call it, was just approved by the FCC, much to Linux fans’ delight. It will follow up older ROKR phones, possibly with iTunes capabilities, and will run Motorola’s Linux OS. The phone will have a touchscreen instead of a keypad, and will be loaded with a 2-megapixel camera, FM transmitter, and stereo Bluetooth capabilities. The iTunes integration seems like a long shot, seeing as this runs Linux. But, it does have GSM capabilities, which means it may be in your Cingular-stained hands someday soon. If you’re looking for a break from the “me too” pretty, but low functionality thin phones, this may be the one for you. We can almost hear the voices of skeptical readers whispering in unison, “fanboy Photoshop,” and we’d normally have half a mind to agree. After all, the bizarre gray exterior (just a reflection, perhaps?) seems incongruent with the rest of the phone, the contents of the external display are obviously faked, and the coloration of the Verizon logo doesn’t make a lot of sense — not to mention that the concept of a CDMA-based MOTORAZR MAXX is a bit… shall we say, new to us. Alas, it turns out the picture’s authenticity is rock solid (not to say it’s not a Photoshop job, but if it is, it’s an official one) seeing how we just downloaded it off Motorola’s official site for press multimedia. We know nothing about it besides what we’re seeing here, but truth be told, the picture alone is a lot to process: Verizon gets a strangely colored variant of a high-end RAZR we didn’t even know existed. It looks like a 2-megapixel cam is in the cards, and if the specs mirror its GSM cousin, we can expect a QVGA display, microSD expansion, and 50 odd megabytes of internal storage — not a bad piece to slot in right above the K1m, if we do say so ourselves. As soon as we catch wind of availability (or catch wind that Motorola is playing an extraordinarily unsportsmanlike practical joke on us), we’ll pass on the good word.